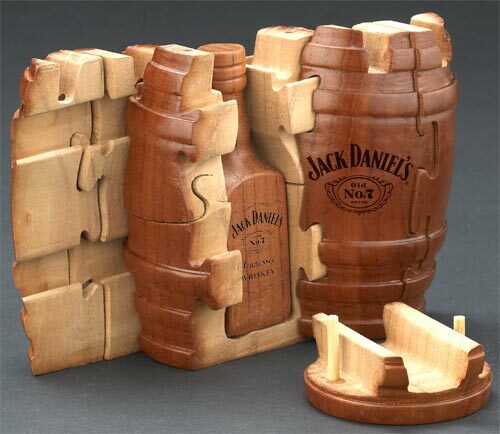 Modeled after the real Jack Daniel's wooden whiskey barrel, this 9-piece wooden barrel puzzle opens to reveal a replica of the famous Jack Daniel's Tennessee Whiskey® bottle. 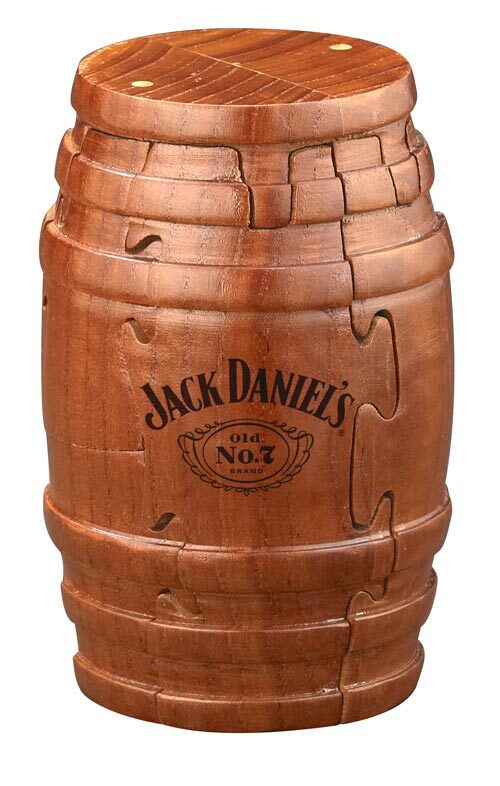 Dimensions: 3 in. x 3 in. x 5-1/8 in.